Today, I finally launched something that I've been wanting to do for a while. Since I started teaching classes back in Agony, I've had requests from people to come over and run some PVP training for their corp, their friends, or in some cases just for them as an individual. I actually went ahead with it a few times, and for the most part the classes were very successful. The main problem I had was the need to balance running our own public classes with the demand for private training on the side, and given that we never had many instructors this was a battle I could rarely win. Since I stepped down from Agony, it's always been something that I wanted to revisit. I think there are a lot of people out there who could benefit from having access to this kind of tuition, but right now outside of dedicated training corps there isn't really anyone that I know of who offers such a service. As of today... There is! You can find the details on the new PVP Training page that you'll see up at the top. At this stage things are all very provisional, and will no doubt change as I figure out how best everything fits together. While we're on the subject, I'll take a moment to explain what, for me, is the most difficult part - the price. I've always said it's not about the money, and I mean that - I'm a big believer in free information, and I'd much rather see another newbie happily embarking on a career of PVP than pad my (admittedly fairly space poor) wallet. In the end, it comes down to two things. The first is time - while I'd love to help out everyone who needs it I physically don't have the time to do so. Charging an isk fee helps keep the number of requests to a manageable level, as well as letting me offset the classes against my existing play time (since time spent teaching becomes time I don't have to spend making isk). The second factor is appreciation of value. When I offered these in the past with Agony, we actually had quite a few situations where clients would cancel at the last minute, or simply not turn up. Quite a lot of time and effort goes into preparation even when a class doesn't ultimately go ahead, and there are few things more disheartening than spending that time only to find your students aren't really all that bothered and decided to do something else instead. I hope that by charging a reasonable amount for my time, I'll dissuade the people who aren't really that interested and keep this kind of situation from happening too often. Coming up with the right price is even more challenging. In the past I've always done it on an ad-hoc basis, ranging from totally free to multiple billions depending on the customer and the nature of what they wanted. I've never really been happy with that method, and this time I'm going to try something a little simpler - a fixed rate based on my time, regardless of whether I spend that time taking one guy out roaming, or delivering a lecture to a hundred students. I know it's not ideal, but I'd like to see how it works. The figure I'm trying out to begin with - 400mil for a typical 2-3 hour session - is around the average of what people paid previously. It's hopefully enough that it still means something to your average corporation, but isn't insurmountable for an individual or small group either. The people who miss out under this system are those who really are interested, but genuinely can't afford to pay what I'm asking (a group which contains those who would arguably benefit most of all - brand new players). I thought about varying the rate based on how much you can afford, but then I'd effectively be asking you to tell me how much isk I can charge you, which seems a little odd. What I've decided to do instead is offer my time completely free to anyone who can convince me that they really deserve it. All I ask is that you write to me explaining why you think you'd make a good candidate for training, and how your PVP experience would change if you were to get it. How many of these I'm able to act on will probably depend on the volume, as well as how many paid requests I get. If I can't give you the time, I'll do what I can to point you towards any information or people that I think might be able to help you. So that's the idea. As with everything, I expect it's going to be a case of giving a try and seeing how things go. A lot will depend on the level of demand that I get - having never really advertised the service before, this is very much an unknown factor. Either way, I'd be interested in hear your feedback in the comments, and if you're interested in organising something for yourself or for your corp, feel free to drop me a line! I think you are undercharging for your work. You are highly skilled and experienced, providing a professional product. 400mil ISK isn't even one PLEX, so you're not even making minimum wage for your effort. For any professional adult, the cost of playing EVE is many times the subscription cost. Time is the one thing we never get back. Don't underestimate the value of your time. This isn't to say you shouldn't be nice and volunteer to help starting players. My point is that you shouldn't feel guilty about asking for an honest wage for good work. You're right of course, but I'd rather undercharge and reach a larger number of people than overcharge and limit my services only to the very rich, or those willing to buy plexes for the privilege. I'll probably adjust the prices as we go, but for now I'd like to see how this goes. After all, I don't really see it as work - I just see it as part of my in-game playstyle, and enjoy it as much as any other in-game activity (and definitely more than missioning or orbiting FW buttons, which I'd need to be doing otherwise). Of course if someone wants to pay more, they're welcome to! I second what Keith R says .. I've sat through your lessons and I will be using your services in the coming months. I can't offer any advice on pricing, but there's no doubt that you've got good, moral core values behind this. For potential clients this is a good sign. As far as reaching the newer players maybe do one free seminar a month where spacing is limited and players sign up in advance. Woot! This is the one thing in EVE I've always wanted access to. "Personalized" training is, to me, always better than the trial and error of roaming and "learning from your mistakes" (which assumes you know what you did wrong in the first place). I look forward to contacting you about this. In an effort to help noobs along, I'm considering hiring you and finding a few interested noobs to bring into a class on my dime. I'll contact you in game. If you already know some noobs who want to take your class, but can't afford it, maybe we can coordinate something. Finding a single price that works for everyone is tough, esp. in Eve, where wallets easily range from <1M to >1T ISK. 400M pretty much puts your services out of the range of most players who have been playing for less than 3-6 months, unless they signed up for Eve just to learn how to grind ISK (which is unlikely, if they are interested in your PVP training). And, unfortunately, these newer players are the ones who will also get the most out of your training. For a 3+ year player, 400M is chump change. Not that I'd personally sign up for a class and then blow you off, but losing 400M wouldn't bother me at all. Sure, you'd still get the ISK, but, if I were you, I'd still be annoyed at someone for wasting my RL time. So, I'd suggest using a scaled rate - ie. lower rates for younger players, higher rates for older players. Now, some idiots might try to scam you, ofc, by signing up under a newly created alt, but I really don't expect this to happen often. However, you can protect yourself somewhat by only accepting non-trial account players, with a minimum age of 2 months, and you can ask for an API key to check the account for older toons. You can also create a "scam board", where you publicly post the names of anyone who did scam you. I'm sure that your past students will be more than happy to apply their new skills against the asshats, on your behalf. Another suggestion is to create a corp rate. You can base this rate on the age of the corp, the number of members in the corp, and the size of the class. The advantages of a corp rate are (a) you get a whole class at one time, rather than waiting for enough players to sign up for a class, and (b) the corp will be responsible for making sure that their members show up for the class. A corp rate is a good idea, I'll probably start doing that after I've run the first few and got a feel for how many of the requests I get are from corps vs individuals. I think having a sliding scale is difficult, and I'd rather avoid it. It's less convenient for the student since they don't know what they'll be paying up front, and less convenient for me since I need to work out how much I'm charging each time. That said, since the current 400mil price is for the whole class regardless of how many people are involved, I'd probably suggest to newer players that they try to find some friends who're interested and share the cost with them, rather than asking for their own personal class. That, or just take advantage of the free service that I mentioned above. For a sliding scale, you simply set the rate based on how long the student has been playing the game. After you are happy with the initial rates, just post them and away you go! You can always adjust the rates later, as you please. This sort of scale would probably be more convenient for the newer players, who might have difficulties finding enough friends to share the fixed fee per class cost, and might not be deserving enough to qualify for your free service. And, you can always discount the rates, as you choose, for borderline cases, ie. where the player has some ISK, but not quite enough. So, the numbers are never set in stone. Free, though, is a bit extreme. Remember that people tend not to place proper value on things which are free. I think the best method to dissuade people that are not really that interested is by charging upfront without any refund if a student did not show up for the class. Or if you feel really generous let them use credit for another instance of the class. Don't leave us loners out in the cold! We need a chance to be able to attend those courses. Maybe some corp would not mind few/many other people flying along. I.e. I can pay 40 mln for class, but I don't have so many friends. Also at the end of the class you can just ask people if they feel underpaying for class then they can send you more isk, if they want to. In the end more people will be PvPing so I greatly approve of this! My only question is where will the training be commenced? As for the price I have a feeling you've put more thought into it than I have or others so I think its great. A newbie that buys a single PLEX will be able to afford it and have money left over for ships to start out too. After all this game isn't just about ISK and I think you know this. Where is up to the student(s) - I can come to you, you can come to me, or we can just do the whole thing over voice comms. As for When - I've already had quite a large number of requests so I guess the answer is 'it's already started'! Hey Azual, I am glad to see that you are going to offer your services in this manner. I would like to offer you my experience, as I actually arranged a private AU course with you almost two years ago now. Firstly, for those who have never attended a course taught by yourself, then I would say that it was an awesome experience and was thoroughly enjoyed by everyone who attended. Our only disappointment with the whole event was that there wasnt really anyone about to shoot, however it was great fun that you decided to end with an us versus you battle. I therefore totally recommend your services to anyone who wishes to learn pvp from someone who knows what they are talking about. However, I would like to share my experience of the struggle i had for a month or two in advance getting up 50 people to come and sign up. Firstly, we wee a small hi sec carebear corp of players, who loved EVE and had been playing for quite a few years together, but over that time, we had ventured into pvp and were totally useless. Everyone was also scared witless of null sec, assuming you needed at leaast a carrier and the skills to survive there for any time. When we contacted you about a private AU basic PVP course, I was so happy that you could do this. If I recall, we had to get together 40-50 people to make the course worthwhile and pay quite a few billion I believe. This was where the problems started to come in, my corp and our friends from other corp and our future alliance were eager to make this happen, but we raising the ISK for it was an issue. We worked out that each attendee cost about 50-80 mil ISK each to attend the course. One corp with a few members was able to pay to put its members in, but I wanted as many members from my corp to go as possible and we just couldn't afford to pay the fees from the corp. Those of us who could pay, put money in to pay for the others, rather than let them lose out on the experience. I also had people from outside the corp, who wanted to come along and help make up the numbers but when they heard the costs, lost immediate interest. Eventually, we managed to get all the money together and everyone who attended the course gained something vaaluable ands lost their fear of null and pvp. Now we hadn't planned ot come on that course as a means to get into PvP, merely so that all of my corp and our allies had some basic idea of working together as a combat fleet. To this day, when I fly with those who were on that course, I can see that those people work a lot smoother than those who did not. Anyway, from my experience, I believe that your original idea of charging a std x amount of ISK for your time is a nice simplistic way of doing things. You can make adjustments up or down I guess, depending on how you feel about the people you are planning to teach. 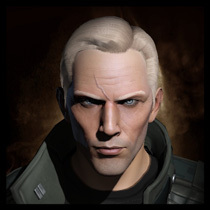 For myself, we now live in null sec where we have rented a system for over a year and are still pretty crap at PvP, but we have a load more members in our alliance now and I am probably going to contact you fairly soon about some more focused training. And now, my corp has a hell of a lot more ISK, so I imagine myself and my directors, would be quite happy to pay for your time, plus throw you more ISK, to pay for one of those deserving poorer corps to partake of your training. If we had had less of a struggle to pay for the BASIC course, then I would have been able to get more people involved, who would really have benefitted form the experience. Thanks for the feedback, it's great to hear that your guys are still benefiting from the experience! I sympathise completely with the situation you guys were in, and I think it's fairly typical. The Agony model was built around large classes and priced accordingly, but I think as a private customer it's really difficult to get the number necessary to make a class of that size worth it. At this price, it should hopefully be much easier corp a corp to spread the cost. Beginners don't need his help. What he offers is guidance to perfect what you already know. Plenty of channels and corps are available where beginners can get the basics down. No need for them to waste his time. You can learn to fit from any older player for example and without the right skills you can't use his advanced fits anyway. Just think about it, having a professor teaching kindergarden is a waste of his and their time since it will be lost on them.